A brighter Fire. Mittlerweile ist die dritte Generation des Kindle Fire erhältlich. Es ist weiterhin das Tablet der Wahl für Amazon Kunden, aber reichen neue Hardware sowie Softwareupdates aus, um auch Fans von Android Geräten vom Kauf zu überzeugen? Wir sehen uns das 229 Euro Modell einmal genauer an. Handling (50%): Oberklasse (77 von 100 Punkten); Display (20%): Oberklasse (89 von 100 Punkten); Mobilität (20%): Oberklasse (81 von 100 Punkten); Ausstattung (10%): Mittelklasse (69 von 100 Punkten). Für genügend Power sorgt ein 2,2 GHz starker Quad Core-Prozessor in Kombination mit 2 GB RAM. Einziger Nachteil: Käufer sollten sich bewusst sein, dass die beiden HDX betreffend Software-Ökosystem stark an Amazon gebunden sind, zudem ist die Oberfläche sicher nicht jedermanns Sache. Nachdem Kunden das Kindle Fire HDX 7 oder HDX 8.9 in den vergangenen Wochen schon vorbestellen konnten, beginnt der Online-Händler nun mit der Auslieferung des 7 Zoll großen Modells. Die Preise für dieses beginnen bei 229 Euro für die WLAN-Variante mit 16 GB Speicher und Werbe­einblendungen. Das größere HDX 8.9 gibt es in der gleichen Ausführung ab 379 Euro. Wie bei allen Kindle-Fire-Modellen können Kunden die Werbung für einen Aufpreis von 15 Euro abbestellen. If you are heavily invested (intellectually and financially) in Amazon's content ecosystem of books, music, film, magazines and audio books, then the Kindle Fire HDX will deliver a rich experience. If you've spread your content around or don't really want to haul it out of other silos, or are just looking for a handy pocket-sized tablet, then you might find it somewhat claustrophobic. The Fire HDX is a great tablet with excellent performance and a great screen, but one that suffers from a couple of problematic flaws. The blue light leakage will annoy some people who like to read a lot, while the lack of apps will trip up anyone expecting the choice you get on an iPad or Nexus 7.It's a great choice for undemanding users who will benefit from the closed, safe, easy-to-use ecosystem and the free tech support via the Mayday button. 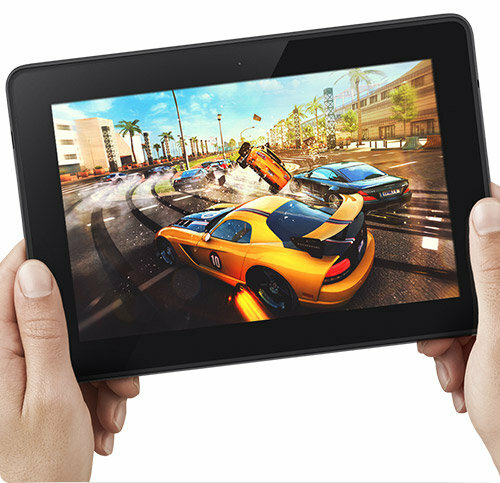 For the right kind of customer, the Kindle Fire HDX is the perfect tablet. And who is that customer? Someone who doesn't want to much more than consume content on their tablet. If you're a Prime subscriber, or heavily invested in Amazon's ecosystem, the Kindle Fire HDX is a smart purchase. For those who want a little more functionality, reach for a Nexus 7, and for those with deeper pockets, consider an Apple tablet. If you are fully plugged into the Amazon ecosystem and you are looking for a 7-inch tablet to buy that’s not an iPad mini 2 Retina, then the Kindle Fire HDX 7 at £199 is a great choice. It’s really easy to use and Mayday is a killer feature for those who struggle a little with tech. 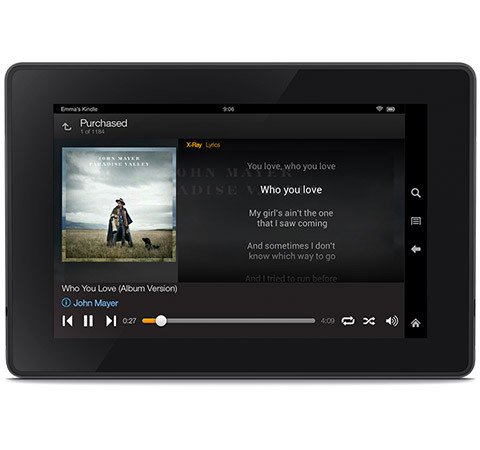 The Amazon Kindle Fire HDX 7 is a great, easy to use 7-inch tablet with some exciting and unique features you won’t find on other Android tablets. It’s just a shame about the app support. This is a real Nexus 7 alternative. As long as standing at the cutting edge of new apps isn’t a big priority the HDX has you well and truly covered, from browsing to cloud storage to buying books, music and magazines. Bringing a new, pepped up Fire OS, zinging along on a Snapdragon 800 and with a crisp, dazzling screen, this 7in Kindle Fire is even up there with the iPad Mini for the best hardware we’ve seen on a small tablet. But in a world that already includes the Nexus 7 and iPad Mini it takes something special to standout, and the Kindle Fire HDX certainly does that. That's thanks in no small part to the genius Mayday button, which is probably what every other Android tablet manufacturer is hitting right about now. 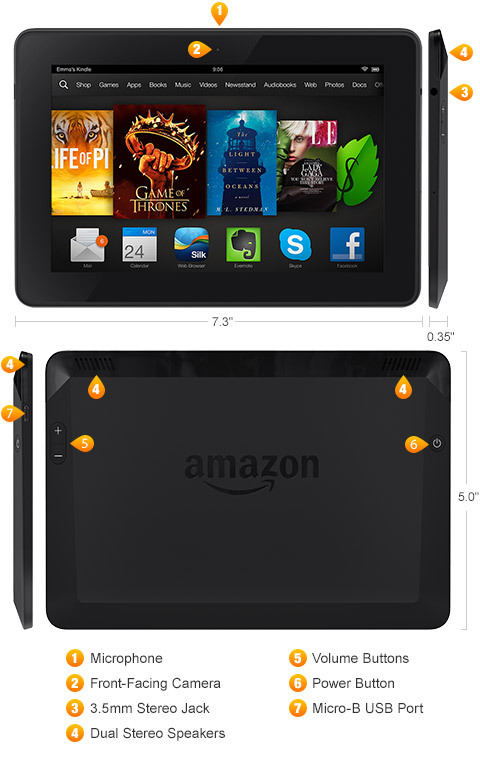 The Amazon Kindle Fire HDX is Amazon’s most powerful tablet yet, boasting specs that can match the Google Nexus 7 and the iPad Mini without even breaking a sweat. What it boils down to then is what you’re after. If you like being able to tinker, customise and use your tablet as a portable all-in-one, then Android and the Nexus 7 are probably your best bet. If on the other hand you want the simple life and you want a true media player that will give you an almost inexhaustible supply of books, music and video then the Kindle is the tablet for you. 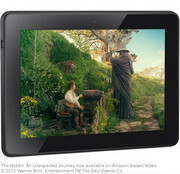 The difference between the Kindle Fire and Google's Nexus 7 is really one of philosophy. 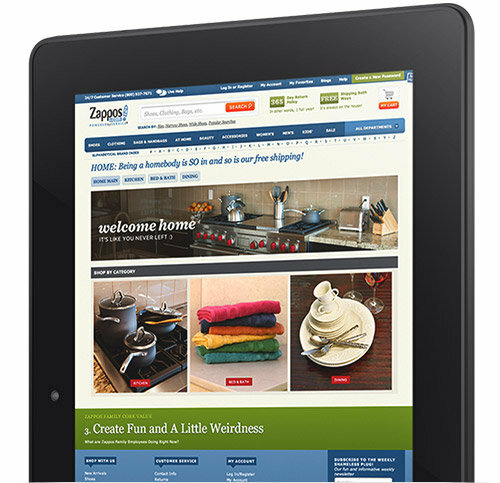 The Nexus 7 is a blank slate which you can customize to your whims. The Kindle Fire is a cheerful personal shopper. We're PCMag.com, so the Editors' Choice goes to the more flexible Nexus 7. But if configuring and supporting Android 4.3 on the Nexus 7 is a bit too much of a pill to swallow, the Kindle Fire (with its Mayday advisors always just a touch away) will go down as easy as a spoonful of sugar. The increasing number of very good sub-$200 tablets is making it harder to justify the premium for more expensive devices such as the Amazon Kindle Fire HDX. Nevertheless, this $229 (for base model) device is a fantastic value. You get a superior HD display for enjoying movies and games, along with best-in-class performance in a sleeker design. There’s another shoe waiting to drop: a likely iPad refresh. 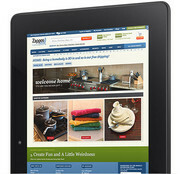 I don’t expect to see Apple lower the price of the 16GB iPad mini below its current $329. For the life of me, I don’t know what Apple could do to enhance the iPad mini to make me recommend it over the Fire HDX, provided that the person asking my advice had little interest in productivity or gaming. A 7-inch Fire HDX will give you a superior content experience and leave $100 in your pocket—which you can spend on books, music, and movies. Luckily for Amazon, the potential audience of its customers keeps growing, though. 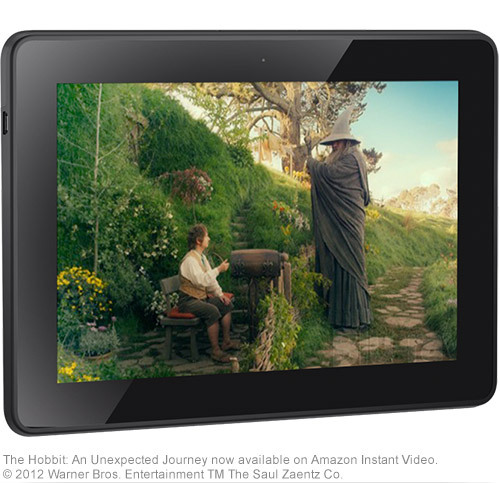 The Kindle Fire HDX ticks the right boxes across the board, in that case: ebooks look great and can be read for longer; movies and TV shows will soon have the clever Second Screen functionality; and Prime subscribers get the benefit of offline playback. It’s fast, portable, and well constructed, and if you’ve bought into the Amazon ecosystem – or are looking for a one-stop-shop in which to set up your digital life, that isn’t Apple – then the Kindle Fire HDX makes a compelling argument to be that shopfront. Positive: Good price; good screen; good performance. Negative: No SD card slot. Die dritte Generation der Kindle-Fire-Produktpalette könnte zu den besten Tablets am Markt gehören. Das Design ist durchdacht. Gewicht und gutes Gleichgewicht machen eine komfortable Benutzung mit einer Hand möglich. Stromschalters und Lautstärkeregler an der Rückseite des Gerätes sind im Querformat etwas entlegen. Liegt das Tablet auf einer Oberfläche, muss das Gerät angehoben werden, um es aus dem Schlafmodus zu wecken. Der Touchscreen ist schön und genau und beim Internet-Surfen, Alltags-Anwendungen und Unterhaltung gibt es keine Probleme. Der 2,2 GHz Qualcomm Snapdragon 800 mit Krait 400 CPU und Adreno 330 GPU sorgt für eine schnelles Gerät, das alle Aufgaben problemlos meistern kann. Mayday ist eine interessante Verbesserung des üblichen Kundenservices. Hat ein Benutzer ein Problem, kann er mit einem Service-Mitarbeiter, der das Gerät aus der Ferne steuern kann, um Anwendern bei jeder Art von Problemen zu helfen, video-chatten. Das 7-Zoll Tablet bietet eine feine 1920 x 1200 Pixel Auflösung, die für ein lebendiges Bild sorgt. Leider haben helle Farben eine Gelbstich. Dank hochwertiger Hardware laufen die meisten anspruchsvollen Spiele bei maximalen Einstellungen flüssig. Insgesamt mag es sich um ein gutes Gerät für alle, die bereits Amazon-Prime-Mitglieder sind oder solche, die es werden wollen, handeln. Andere sollten sich möglicherweise besser bei der Konkurrenz umsehen.